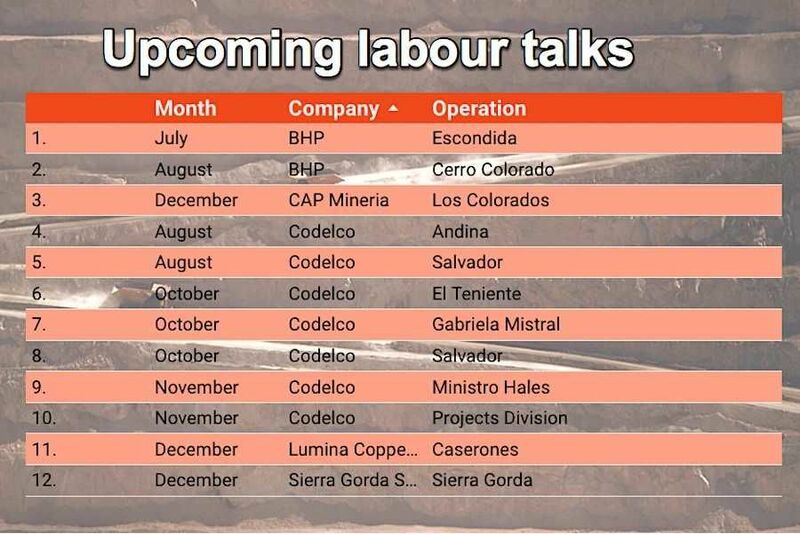 Copper forecasters are keeping a close eye on Chile these days, as the top-producing country prepares for another busy six months of labour talks. Much of the attention will remain on BHP’s Escondida copper mine, the world’s largest, where a 30-month contract expires at the end of July. Much of the attention will remain on BHP’s (ASX, NYSE:BHP) Escondida copper mine, the world’s largest, where labour negotiations are entering into the final three weeks before a 30-month contract expires at the end of July. State-owned Codelco will also be on copper experts’ radars. The world’s top producer of the red metal has avoided strikes so far this year, but seven negotiations remain, including at its vast El Teniente mine.